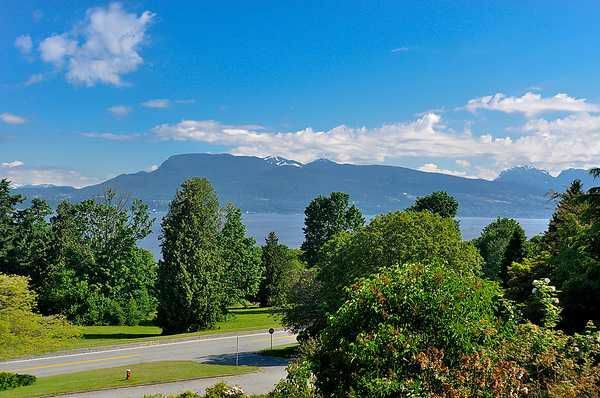 SPECTACULAR UNOBSTRUCTED VIEWS! Vancouver West Side most prestigious address on Newton Wynd. Looking North with clear views of Bowen Island and the North Shore Mountains. A unique opportunity to acquire this 30,000 sq.ft. property tobuild your Dream home. The current home was custom built and is a solid structure which could be renovated or an ideal holding property. Set on a private, gently sloping site with beautiful, well-kept gardens & mature landscaping. A quiet, park like setting with easy access to Spanish Banks & UBC. SOLD - Subject to Probate (can not disclose price).